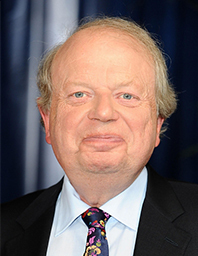 One of the best-known faces on television, John Sergeant was the BBC's chief political correspondent from 1992-2000. After leaving the BBC to join ITV News, he was voted the Best Individual Television Contributor of the Year at the Voice of the Listener and Viewer Awards for 1999. He joined the corporation as a radio reporter in 1970 and covered stories in more than 25 countries. John worked as a war correspondent in Vietnam, Cyprus, Israel, and Rhodesia. He also regularly reported from Northern Ireland (he reported the first British soldier killed during the Troubles) and has also been an acting correspondent in Washington, Paris and Dublin. For two years he covered European affairs and the first sessions of the directly elected European Parliament. In 1981 he became a political correspondent for television and radio. comedy successes followed, including a memorable encounter with Paul Merton in Room 101 on BBC2 when John listed his pet hates, including the BBC TV programme, Casualty. On Radio 4 he has been a guest on the News Quiz and many other programmes including A Good Read. He has also presented Pick of the Year. His book published by Macmillan, Give Me Ten Seconds, was described as "An all-time rip-roaring read" by the Independent on Sunday.